Every one that own a website should probably create a Knowledge Base to properly interact with the customers about their business or works. People want to know everything possible about a product before buying it, so they use the FAQs, Wiki centers, or support forums to know every detail. That’s why is very import the creation of these kind of websites/forums. Is also a good way to promote your business and compare you with the other competitives easily. These themes are the standard and creative layouts for the ultimate Knowledge Base website, Support forums or even the perfect Community website format to interact with your customers. Here we go! Simple and functional, KnowHow is the most selling and popular knowledge base themes. It’s a terrific options will let you set up a standart WordPress installment just for knowledge base. It is totally responsive, so you will not have any problem while aiming to reach mobile users. It has a built-in Ajax based live search feature, which enables you to provide punctual response to your consumer’s queries. You can actually choose your own theme color, video post, create animated navigation and include shortcodes. Some Features/Plugins : providing instant answers, FAQ included, SEo, translation ready, multi language support, well documentation, simple theme options, responsive design and 2 custom widgets. Helpdesk is another knowledge base, wiki and FAQ theme. Theme’s frontend interface permits user based edition and also development, implying you’re a one click installment away from making your personal crowdsourced knowledge base site, or probably just a specialized niche area web site. It permits you to run numerous knowledge base with categories and also messages. You can easily use this theme to built a perfect customer self service with a knowledge base in it. Some Features/Plugins : live article search, drag and drop article and category reorder, article voting, view analytic, social sharing, responsive design, breadcrumbs, placeholder, excerpt length on articles, widgets, translation ready. HelpGuru is a straightforward option whether to make use of the theme with a self service Knowledge Base format or a regular Support/FAQ website. 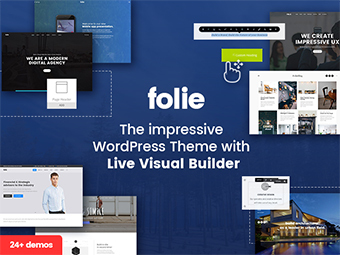 Furthermore, this theme consists of easy to configure with live customizer for presenting knowledge base posts, categories as well as authors. The theme is totally responsive and maximized for all mobile gadgets such as tablet computers as well as mobile. With its WPML support, you have the ability to produce a multilingual website where site visitors could change the default language of their choice. Some Features/Plugins : live search, article feedback, content ordering, article atachments, widgets, SEO, multi language support, top rates theme author, reduce support time, reduce support ticket volume and repetitive questions, voting system, enhanced live customizer, translation ready, child theme. Flatbase theme it will work perfectly like a FAQ/Support forum website. The premium theme has a responsive design so it adapts to any kind of display resolution working flawlessly on iPhones, iPads and all various other smart phones. You could utilize WordPress to create reliable web platforms with great design and also supply content in the kind of text and media to your target markets. If used like a support forum, it offers you lead with that experience, as well as shower you with positive guidance. Some Features/Plugins : live search, bbPress, ajax based live search, translation ready, 700+google fonts, gallery template, SEO, clean code, FAQs, ajax contact template, live customization, like system, custom widgets. Manual is ideal for documentations, knowledge base or online portals that display creative and helpful content in a professional means. The theme is based on Bootstrap, and it is quickly adjustable by anybody. This theme is painless to set up and does not need technical website design knowledge to create a captivating site. Upon acquiring this theme, you will get to an in-depth, comprehensive theme documentation source. This contemporary knowledge base theme makes it feasible for you to establish your personal FAQ/Knowledge Base of details internet site without creating a solitary line of code. Some Features/Plugins : woocommerce, bbPress design, role management system, revolution slider included, target search, visitors statistics, article feedback, instant answers, WPML, like system, FAQs, ajax live search, XML, SEO, easy create and manage the documentation templates, various knowledge base templates and features. Knowledge Base theme will cover everything you need to support the customers : Wiki, Project Supervisor, Directory. Start a business in a split second with native bbPress combination, get to the entire world with Bootstrap 3 responsive indigenous cross-browser, cross-platform compatibility, utilize beneficial shortcodes to develop any type of type of web page. Some Features/Plugins : ajax based live search, full localization search, 4 color skins, bbPress, custom widgets, FAQs, XML, child theme, text colors and background customization, extensive documentation. Base is yet another standart, simple and bold Wiki/FAQ WordPress theme. If your consumer base is differed, as well as you should get to a broader audience, Base could help with that process because of the inclusion of full translation capabilities. It assists more those who lack technological knowledge, helping with the creation of fascinating blogs. Some Features/Plugins : clean design, SEO, flickr images, widgets, powerful Bean form builder, retina assets, PSD, related posts, translation ready, great customer support, color picker, like system. TechDesk includes modern design, heaps of fantastic functions, totally responsive design, custom-made produced attributes that are required in a Knowledge site. Even non-programmers could use this theme, as it does not require any type of specialized knowledge. The innovative theme options panel is newbie pleasant and also translation prepared. Some Features/Plugins : intuitive design, shortcodes, FAQs, post formats, RTl, custom backgrounds, live search, ajax thumbnail, SEO, widgets, WPML, unlimited colors, easy to setup. iKnowledge is a slick knowledge base WordPress theme. It features a fresh and clean design, focusing more on the content. It also comes with a rating system and post view counter to help you track article performance. The theme has unrestricted color variants that can be readjusted through Theme Options, so it will be easy to change it particularly for your niche. The advanced theme options panel is branded, and the custom shortcode generator has 12 functions up its sleeve. Some Features/Plugins : shortcodes, XML, custom widgets, contact form, translation ready, bbPress, custom post types, responsive layout, highly customizable, powerful page builder. Helper theme is all about helping customers with support form a certain company, including the sophisticated Knowledge Base. It also has a powerful options panel that makes theme modification a child’s play. There’s an advanced search attribute, easy and also grid listings, along with countless custom widgets. This theme supplies an amazing and fully responsive layout design for your support landing page. Some Features/Plugins : advanced typography, facebook open graph, XML, clean and documented code, translation ready, child theme support, bbPress, google analytics, live chat. DeskPress theme is a standart Knowledge Base Theme. This theme is totally responsive, efficient in accommodating individuals who choose tablets as well as smartphones. 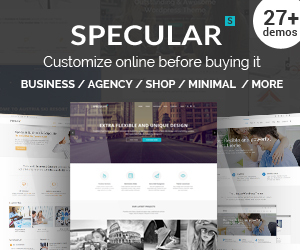 This modest WP theme really offers heaps of built-in attributes like drag and also drop homepage builder, theme options panel, 3 page design templates, as well as blog liquid format style. A completely UX knowledge base purpose was given with effortless support and also Woocommerce integration. Some Features/Plugins : bbPress forum, email notifications, only paid account can create new topic, topic status, live suggestion on creating topic form, woocommerce, SEO, WPML, social sharing, smart search, floating popup reply form. Kleo is an extremely creative and also broad-minded, visually available and safe and trusted, complete highlighted and technologically skilled, professionally graphically developed and extremely easy to make use of responsive HTML5 imaginative theme. It has a powerful theme options that consists of numerous layout setups. The masonry grid framework and also responsive design implies the variety of columns and also the design will instantly adjust depending on the screen size guaranteeing your site is mobile all set for iPhones, iPads as well as various other mobile devices. KLEO’s visual composer design builder and also effective brief codes does not need you to write a solitary line of code to construct a stunning as well as interesting forum site. Some Features/Plugins : most BuddyPress selling theme, live notifications, BuddyPress shortcodes, RTL, bbPress, video tutorials, WPML, ajax search in posts, clean code, google maps, paid membership pro. A theme with a multi purpose layout and also it likewise works extremely well for eCommerce sites. It has widget locations, customized widgets, post formats: common, picture, gallery, video and much more. Socialize is one of the best community themes with BuddyPress plugin integration. A strong advertising and marketing strategy will constantly seek to harness the massive potential of social Networks. It is crafted utilizing clean code and ideal SEO technique to guarantee that your blog site will certainly place well on significant internet search engine. Some Features/Plugins : BuddyPress and bbPress, ajax filtering, events calendar, powerful menus, woocommerce, notifications counter, sticky sidebars, translation ready, clean code, child theme, redux framework. Entranet is the technology specializing in speech and its applications on a diverse variety of fields. 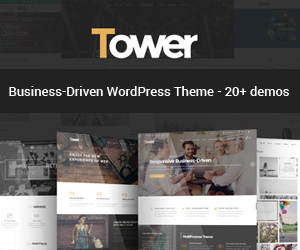 Thrive is an Entranet and Community multipurpose theme, also allowed for designers and creative artists to recognize even more the full capability of CSS3 features, and also daily hundreds of new and motivational ideas are being included in the community. It is totally retina ready to have the most effective visual quality in retina devices. Some Features/Plugins : drag and drop builder, buddy drive, woocommerce, WP polls, buddy docs, project management, bbPress, file management, live messaging, events, live customizer, dedicated support, KNB plugin(knowledge base), lightweight coded, RTL.